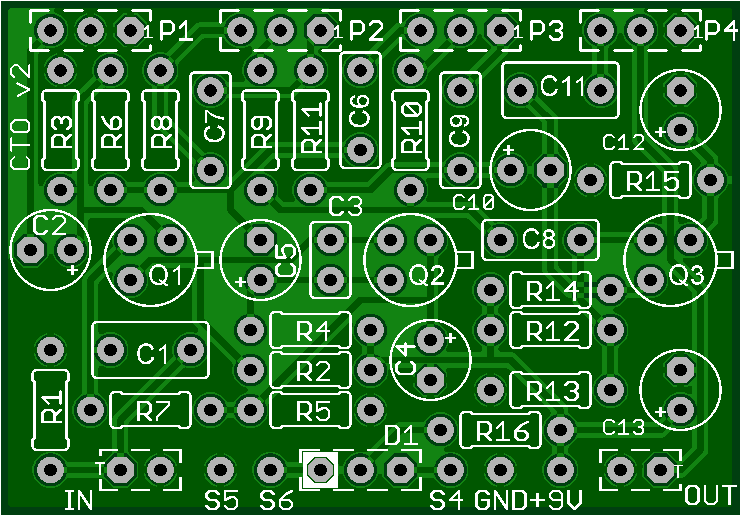 This kit includes all of the parts needed to build the GuitarPCB Color Tone Overdrive project. The Colortone overdrive compares well to the ColorSound® Overdriver™. This circuit was used heavily in the 70’s and has a great tone that bridges the gap between boost, overdrive, and fuzz. It was popular due to its ability to bring body, richness and tonal dimension to a tube amp. This version adds a master volume control. This kit includes BC109C high-gain transistors for the best tone. Overdriver™ is a trademark of ColorSound®. Pedal Parts and Kits is not associated with and makes no claims to these trademarks. See our FAQ for more details.